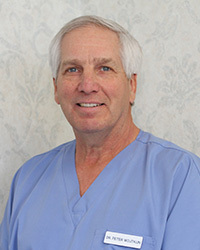 Peter Wojtkun, DMD, has been practicing dentistry in Andover, Massachusetts, since 1978. Over the course of his career, he has performed over ten thousand crown, veneer, and fixed bridge placements; root canals; single-visit root canals; and extractions. Dr. Wojtkun was born and raised in Andover, one of nine siblings and the son of a dentist. He was educated in the Andover school system, followed by Villanova University of Villanova, Pennsylvania, where he received his BS in Biology in 1972. He earned his Doctor of Dental Medicine degree from Tufts University School of Dental Medicine, Boston, Massachusetts, in 1976. Dr Wojtkun and his wife Susan have three grandchildren and two grand-dogs. They enjoy spending time with family, golf, and vacationing in warm places. At Premier Dental Concepts of Andover, Dr. Wojtkun provides and directs all care and treatment, with the indispensible help of his staff: the dental hygienists, dental assistants, office manager and front desk supervisor. A native of the Pittsburgh, PA area, Dr. Sendek received her degree from the University Of Pittsburgh School Of Dentistry and completed her General Practice Residency at Tufts University School of Dental Medicine in 1986. Dr. Sendek is a member of the American Dental Association, the Massachusetts Dental Society, the Middlesex Dental Society, and the American Association of Woman Dentists. She has received advanced training in Total Masticatory Systems, (how your bite works), and is trained and certified in Oral Conscious Sedation Dentistry. Dr. Sendek has over 25 years experience practicing general dentistry in Greater Boston and on the North Shore. 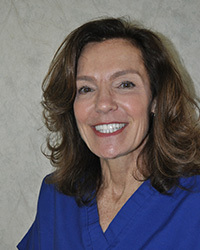 She brings to our practice the new treatment options of sedation dentistry and non-surgical periodontal (gum) surgery. When not practicing dentistry, she enjoys family, friends, running, (she has run 15 Boston Marathons! ), aerobics, Pilates, Yoga, sailing and skiing. Dr. Sendek shares our philosophy of providing caring, gentle, quality dentistry to patients of all ages.